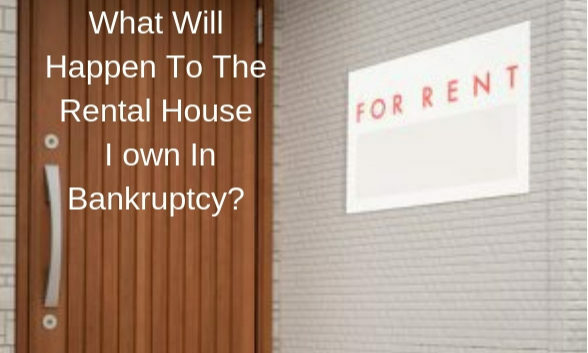 You are here: Home › News & Media › What Will Happen To The Rental House I Own In Bankruptcy? It is relatively common for our clients to own a rental house that they rent to a third party. Most often, the rental house has little or no equity, yet our client would still like to keep the rental house after their bankruptcy is completed. It is recommended that these clients consider a Chapter 13 bankruptcy, and that is especially true if they feel that the rental house does actually have some equity. Filing a Chapter 13 case is by far the best way to ensure that individuals can keep your rental house after your bankruptcy is completed. What Happens To The Rental House In Chapter 13? In Chapter 13, individuals remain in control of all of their assets. The Chapter 13 trustee’s job is not to seize property and liquidate that property for the benefit of the creditors (that is how Chapter 7 trustees operate). A Chapter 13 trustee’s job to is evaluate a Chapter 13 Plan, which is the document that says how much you are going to pay into the Chapter 13 trustee via monthly payments, and then how the Chapter 13 trustee is supposed to distribute those funds to certain of your creditors. Most often, a client is renting out their rental home for about what it costs them to own the rental house. So, it isn’t a real money maker. There are a number of reasons folks may wish to hold onto their rental property. They may be financial, sentimental, etc. But even if you show a nice net income from the rental, you can still keep the property by making that net income available to pass to your creditors during the life of your Chapter 13 Plan. Also, if you do have equity in the property, then you can arrange to pay that equity to your creditors during the life of your plan with no interest accruing. The bottom line is that in a Chapter 13 case, individuals retain control of the property and the rents, which is a huge advantage over Chapter 7 cases when it comes to protecting your rental house. What Happens To The Rental House In Chapter 7? In Chapter 7, the instant the client files a bankruptcy petition, he/she loses control of both the ownership of the rental house and the rents that are paid after the case filing. That means if the client files your bankruptcy case on July 3rd, and your tenant makes a rent payment on July 4th, you will likely end up surrendering that rent and all future rents to your Chapter 7 trustee. Even if your rental house has no equity in it, the Chapter 7 trustee can collect the rents on the house without making payments on the mortgage loan on the house, and even if the trustee ultimately ends up abandoning the house because it has no equity. But, a Chapter 7 Trustee may delay or stall for many months while collecting rent before deciding to abandon a house. By the time the Trustee abandons the house, the mortgage loan could be so delinquent that the mortgage lender forecloses on the house. Despite how unfair this seems to the mortgage company, the client and the tenant, unfortunately, the local bankruptcy judges have shown a willingness to allow Chapter 7 trustees to use this strategy.